Selz 2019 Reviews | Worth the price? Selz is a platform that allows business owners to create online stores, sell from live websites, and even promote and sell products through available social media outlets. Selz allows their clients to try out their product through their free trial options prior to making any final decisions on their online store. However, Selz does charge transaction fees each time a product is sold unless you are on the Pro plan, which has no transaction fees. The platform is ideal for those who have limited to no coding experience, but would like a professional and operational online store. You can link your Selz account to an online store you've set up with Wix, Wordpress or other website builder. You can also add embedded buttons and widgets so customers can purchase through those sites. Because of this, potential customers will be able to purchase without having to leave your site. Another impressive feature is the ability to sell directly from social media pages. With these features, you can run a fully functioning Facebook store and handle the sales directly from the Selz dashboard. There is also the option to create a new store from scratch if you don't have an existing platform to build on. Following the free trial (which does limit some capabilities), business owners will find that it is simple and straightforward to build out their own online store. Coding and integration knowledge is not at all required as Selz provides professional templates to use. Creating a product is quick. It is also easy to add categories and variants, set up a search engine friendly meta description, page title, and URL. Lastly, there is no limit to how many products an online store can feature. With a drag and drop store builder, it's never been easier to design the store you want. It provides all the features you need to craft the perfect digital store, and portray the design aspect and aesthetic which captures your business. It also boasts many templates and professional-looking website themes, all of which are free. After you select the template, you can personalize and customize it further to match your style. You can customize the layout, colors, fonts, and images. The product variants include size, color and weight. You can customize further if you have unique products. Each store includes a free SSL certificate. You receive the certificate for each one of your web pages, which really helps build credibility and trust with your customers. There's also an option for a custom domain name, which you can register through them or import one of your own. This helps promote your brand. Selz does not have a maximum tier range, making their service available to a wide range of businesses. Selz offers a 24/7 live chat feature. This allows customers to book a set-up session with a Selz team member and provides quick, easy answers to questions. Their website also includes a help center with answers to common questions. This center covers topics ranging from payments to troubleshooting. Selz also sends emails with helpful links and support articles on the basics of setting up a store. Within Selz e-commerce software, it offers other tools to help with your e-commerce business, such as: Google Analytics, Mailchimp campaign monitor, credit card processing, unlimited storage, and other small business features. You can also have a custom domain, custom receipts, and other customization options. It also boasts an email marketing service which is designed to target potential customers, as well as maintain existing customers. These features simplify the process for merchants or users who want to start selling, but don't know where to begin. They are designed to work for any business, sales or services. Selz is confident in their software, which is one of the reasons they allow business owners to test out their product prior to making them purchase it. They offer a 14-day free trial. Following the free trial, business owners have the option to get on a paid monthly plan to keep all of the features that were included in the trial. While there is a free store option (limited to 5 products) if business owners want to maximize their site's functionality, they will have to pay $12.99-$26.99 for their store per month. On top of charging for the template/store features, Selz charges 0-2 percent on transactions depending on the type monthly plan. Those business owners looking to create a professional online store without extensive knowledge or experience will likely benefit from the Selz platform. Their straightforward and step-by-step build out process allows even the most inexperienced person to create stunning and functional online stores. 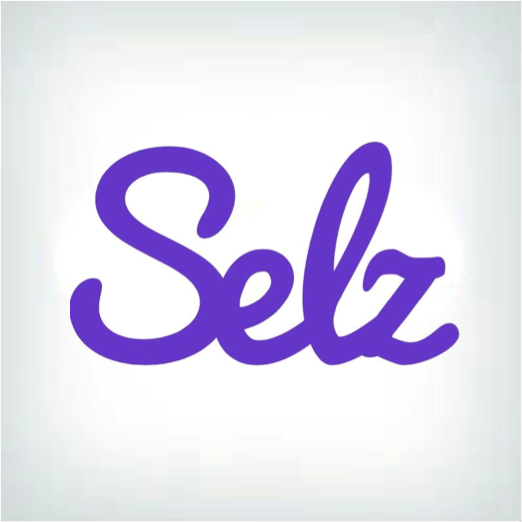 While there are pricing and other limitations to be aware of, Selz is worth testing out. Fast responses and detailed. I am happy with Selz and I rely on them for a lot of my business! Thanks Again? I love using selz platform. It's easy to setup and looks very professional. Using the chat feature was easy and they answer all of your questions very quickly. Overall great experience. I find it easy to use. It does what I need. And also very quick and reliable support. I love how they manage to reply very fast in their chat support. Some small details could be better though, like some parts of my follow up mailings to my own customers are impossible to translate in my own language for the time being. But they are working in it, they told me. Overall very good price to quality ratio. The setup process was really easy and fast. Best of all though, aside from the really easy to use website, is their customer service. I always get a reply within 5 minutes then they are always happy to help - unlike many other payment systems. Incredible support. It took us 10 minutes to make the shop up and running. Very intuitive software, no need to read tutorials or experimenting with the settings, everything works out of the box - this saves you a lot of time and money. Very recommendable. The live chat on the website was so helpful. The representatives are very helpful and they are very nice. They help potential users make an informed decision. Overall, Selz is a great service. I am stunned by the support, kindness and problem solving abilities of your customer service. I left GumRoad mainly because of their terrible support, but I am using many other internet software and I must stay your team is extraordinary. Especially Pat, Nicole and Judy.. they are outstanding! This is by far the best site to use to do anything with your business. The site was very easy to use and walks you through everything. I have no experience doing anything like this but I felt very comfortable selling my ebook online and using Selz. When I did need help you can get a response in minutes and Larra literally walked me through everything step by step even though I was asking her a million questions..I can tell they really want you to succeed and using this site has definitely given me more confidence that I can successfully sell my ebook online. Verify helpful especially when you're having late night issues. I have been using Wx for several years and decided to shift when an update got my site upside down, too many plugins to work with without finding the way to get the result I wanted. The new blog system doesn't allow importing old posts, impossible to use... And, the worst part, the customer service would take one or two days to reply, often with answers out of topic or "I don't understand your question"... I tried Selz as they have a 14 days trail, and my life changed. I managed to do a satisfying site over the weekend, and the customer service is online all the time, even on Sundays, so I got my problems solved withing minutes as there has always been someone to answer. I'm only putting 8 so far because I haven't used Selz much, but so far so good! Thank you, customer service is fantastic, easy explanations, prompt service and answering my questions. Nicole was very good in solving my problems with redoing my site and giving me very helpful tips. Provided answers to all my questions about the free version AND solved a weeks long process issue I had (not related to Selz) that will allow me to use Selz to simplify my customer's experience and automate my work flow. It took Judy less than five minutes to help me figure it out. Kudos to you!! PERFECT. I am selling a single Ebook about my career working in EMS on an Ambulance and this is the perfect site to process purchases. Once a purchase is processed a link to download a pdf version of my book is automatically sent to their email address. I dont even have to do anything. Profits are then entered straight into my bank account a week later. There is a live instant message application where they will answer any question during the process within seconds. they only take about 35 cents of each purchase so well worth it. Customer Service :10 Easability: 10 Recommendation: 100!!!! Unfortunately I am not profitable to be able to customize my payment page however I can still keep my payment processing page for free after my free 2 week trail. Hopefully one day my book can start selling more so I can use the customize feature where i can include a video, pictures, and testimonials ( once I get any) haha. Highly Recommend. I am only on day #2 of my trial but I'm blown away by the superior assistance I've received from Selz customer service reps. (Judy, Derek, and Mel) I am also very impressed with the product overall. Its very easy to use. Many of the features were exactly what I was looking for. I'm confident if I wasn't a techie, I wouldn't have any issues with it. I have taken a look at other products but hands down Selz works best for me and my business. Prompt and polite. Product wise, it'll be good if they sell features individually instead of as a plan, so that users can choose what features they'd like. Selz is excellent and there support is world class. They want to fulfill your queries. They want to solve your problems. Platform is good. SEO is good and integrations are nice. Must checkout. They will able to help me out with my account issues. It was my silly fault and they still able to fix it quickly. I am such a happy customer. I sell my online fitness plans through Selz and they are by far the simplest and cheapest platform I've tried. Their customer support is ALWAYS there, and I feel like you're really getting your money's worth with them. Low cost, awesome features, awesome support. I will always stick with Selz and use them for my business!! !